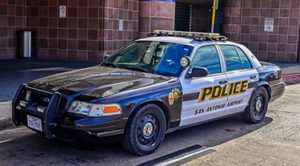 If you were recently involved in an auto accident that required the San Antonio Police Department, there are several ways to access your San Antonio car accident report. San Antonio car accident reports are available by mail, phone, or online. Certified San Antonio car accident reports are also available for an additional fee. We’ll get your SAPD accident report for you. Just provide the details of your accident, and we’ll track down your San Antonio accident report and email it to you. Your first option will be in person at the San Antonio PD Headquarters (SAPD), which is located at 315 S. Santa Rosa, San Antonio, TX 78207. Here, you can purchase a copy of your San Antonio car accident report. Keep in mind, that reports cannot be purchased over the phone and it is a good idea to call ahead. You can reach them at (210) 207-7598. The records office is open Monday through Friday from 9:00 am to 4:00 pm. To access the San Antonio car accident report online you will first need to put a request in. To begin, you must create an account through the records office portal and then fill out the prompts provided. Once you submit a request online, it is uncertain how long the request will take to process. However, the city of San Antonio has 10 business days to provide the information or tell you when the report will be available. You can check the status of your San Antonio car accident report request through your portal account at any given time. You can request your San Antonio car accident report here.